Give the gift of gardening! 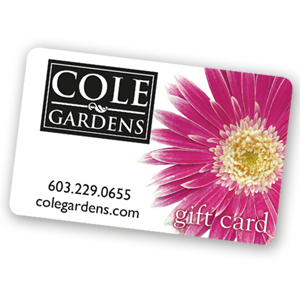 Reward someone special with a shopping experience at Cole Gardens. A gift card is always the right color and the perfect size when they pick it out themselves. Let us help you customize the gift card by including a photograph of a tree, shrub, flower arrangement and a card. Special requests are our specialty!